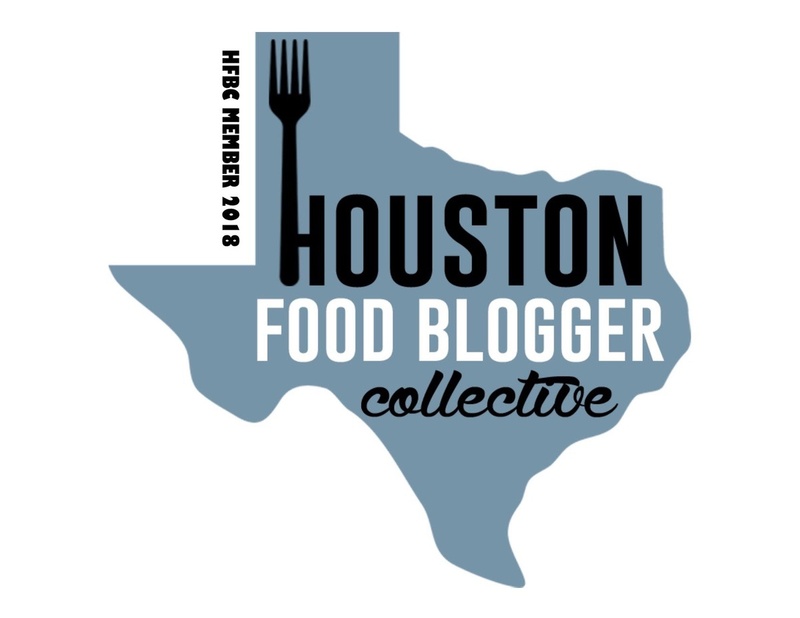 So, I’d been going to a local Houston restaurant, CRISP Wine, Bar & Eatery fairly regularly. 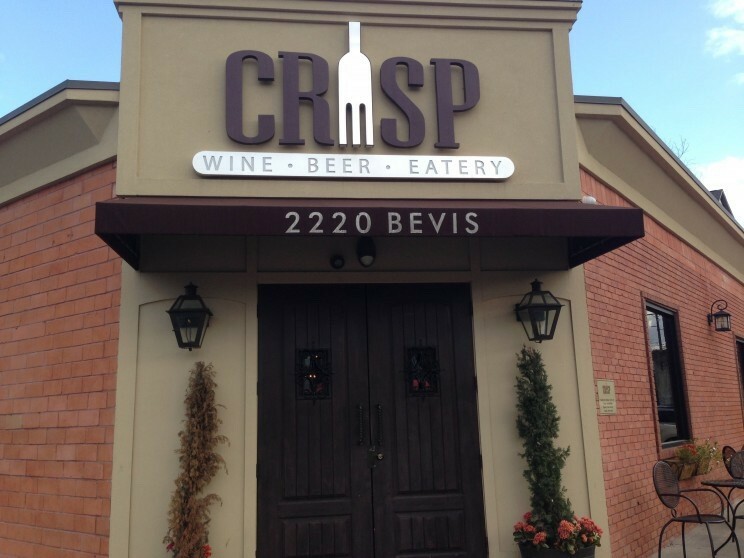 I like going to CRISP as it’s a place that I can take Thing 1 and Thing 2, they have a great patio, not to mention that the food (the pizzas are fantastic) is great. On this most recent occasion, we were eating super early (I’m talking 5pm folks!) before all the cool people started arriving that expect peace and quiet and had a few different things that we all shared. 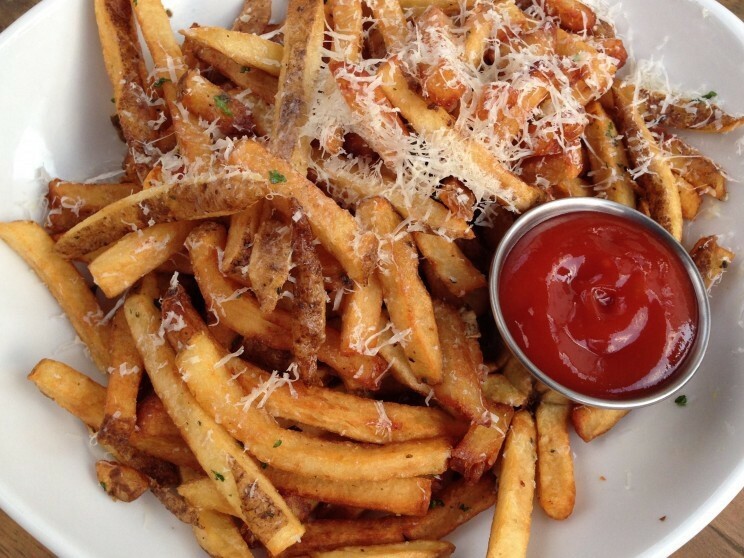 Truffle Parmesan Fries, which never ever disappoint. 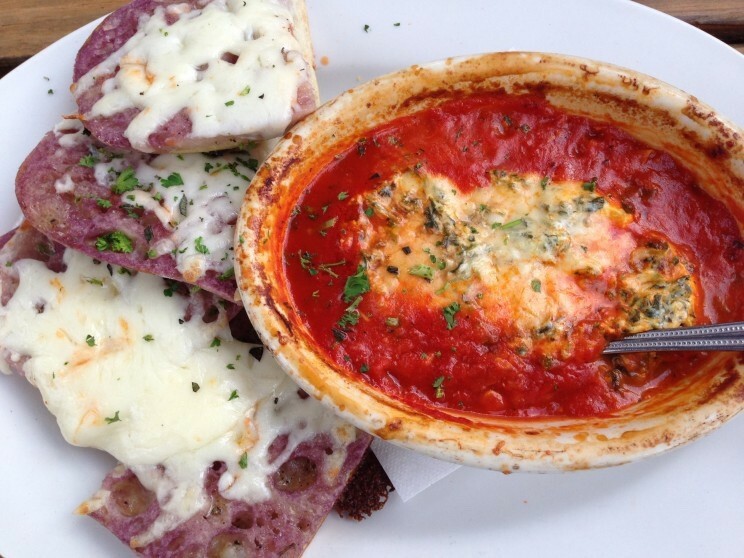 Baked Goat Cheese & Marinara, which is this heavenly gooey concoction of goat cheese, roasted garlic tomato sauce, soft garlic, and olive oil all baked together and served with what they call “Drunken Garlic Bread” for dipping. We seem to never have enough of this. 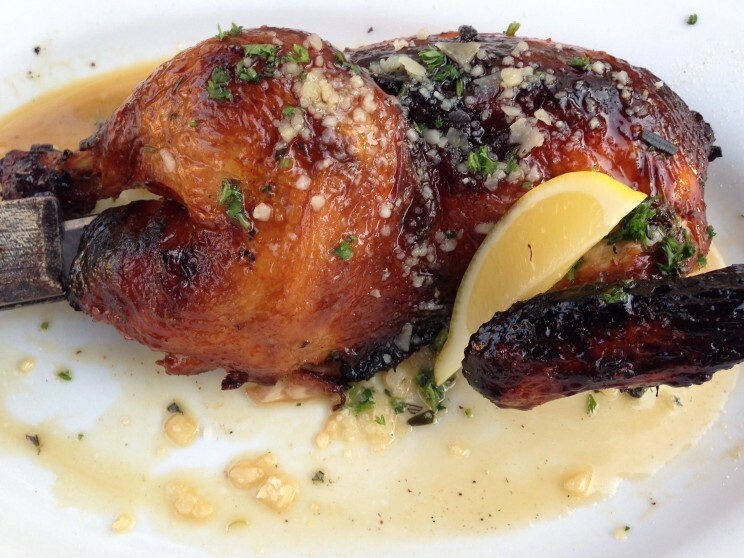 Beer Can Chicken, which is cooked up with Texas’ own Lone Star Beer and is incredibly juicy and flavorful. 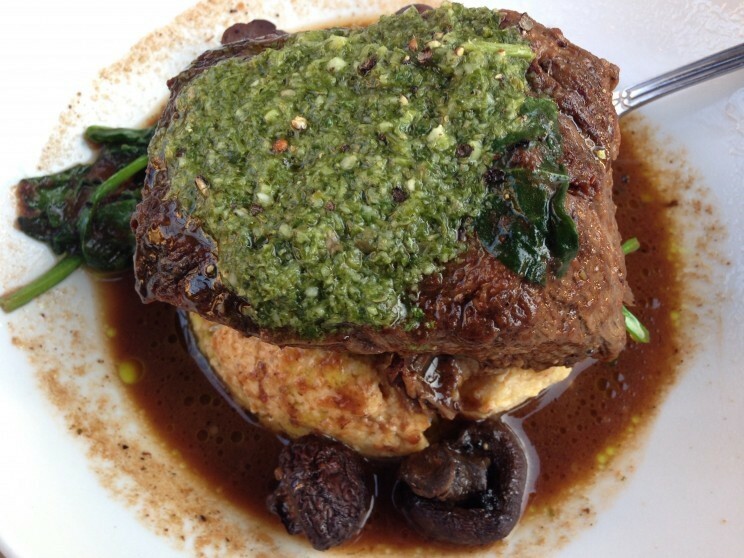 Melting Beef Short Rib, which was served with polenta, wilted spinach, braised mushrooms, and red wine braising liquids. And while I like CRISP for the food and the kid-friendliness (don’t worry if you don’t have kids as we all clear out around 6ish), it’s the extensive and quite global wine list that keeps me going back. Brunello, Barolo, Châteauneuf-du-Pape, Sauternes, all of our new world goodies and on and on. But I didn’t get any of that this time around. I had always been fascinated by the cool, shiny wine machine “toy” they had but never tried it. I’d even talked to a couple of waiters about it in the past, but still didn’t give it a whirl. But on this visit I took the plunge. My waiter got me a card and loaded some money onto it and I was free to go and play with their toy. 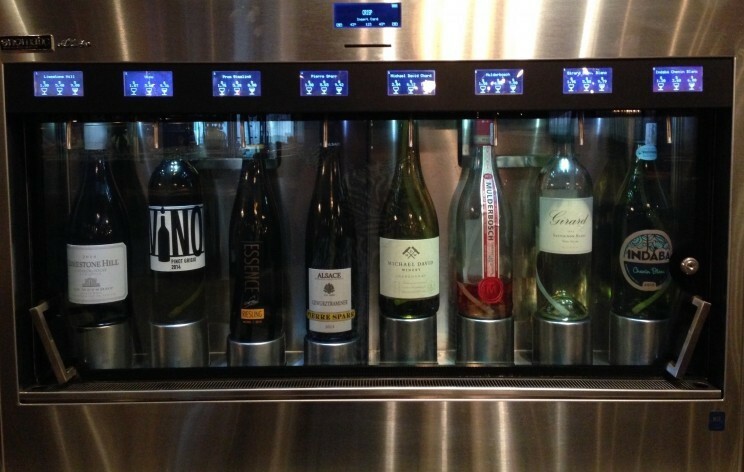 So the wine toy is called an Enomatic wine serving system. 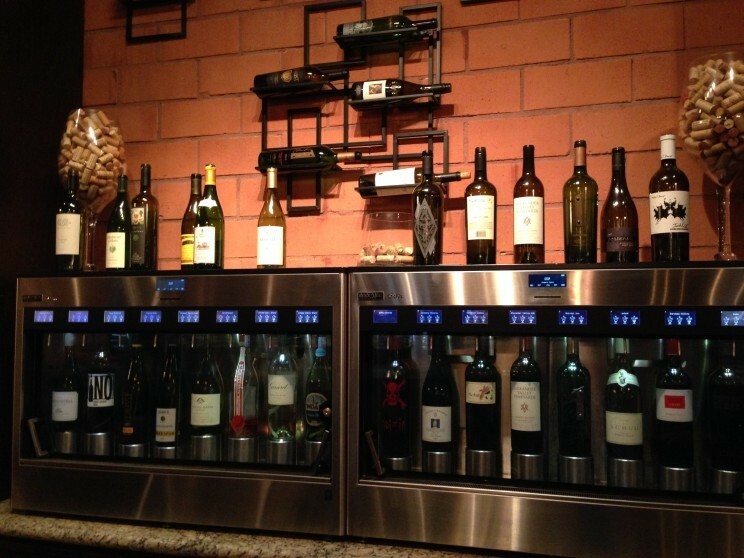 It not only dispenses wine, but also preserves the wine and keeps it at the proper temperature for serving. No warm red wine here, folks. 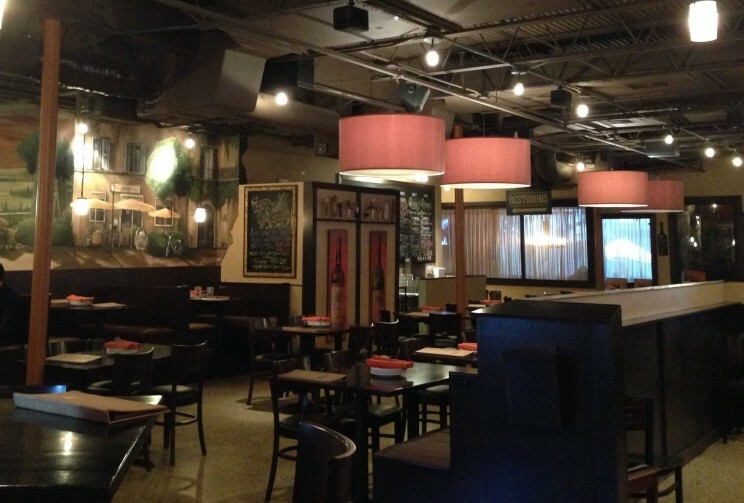 And apparently, more and more restaurants and bars are investing in the Enomatic system. All I had to do was take my card, insert it, and push the button that corresponded to the wine I wanted. 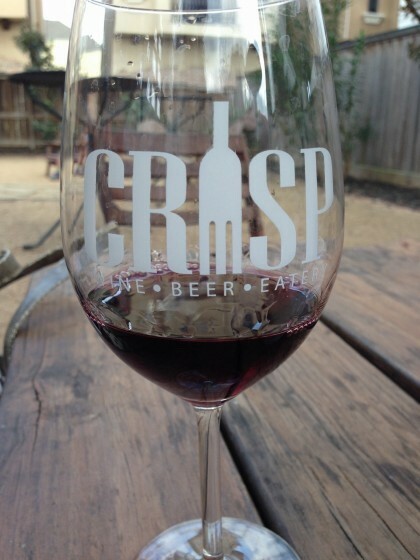 CRISP had sixteen different wines from which to choose – eight red and eight white. It’s like a candy dispenser for adults. They had a choice for a 1 oz., a 3 oz. or a 5 oz. pour. Yeah, didn’t even bother with the 1 oz. pour. But I did a few different 3 oz. pours to try some things out. I love this thing! 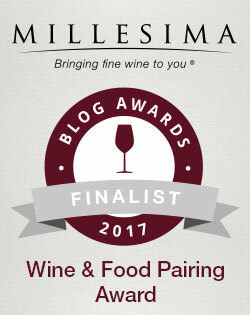 What a great way to try out the wines to see if you like them. And you can get a refill whenever you like – no waiting around for your server. 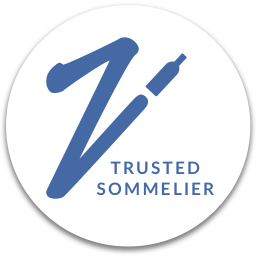 Now these are not the high end old world wines I mentioned before, but they are definitely some good, value priced wines that give you an opportunity to try different wines that you ordinarily wouldn’t try. I even tried out a Barbera which was pretty good. 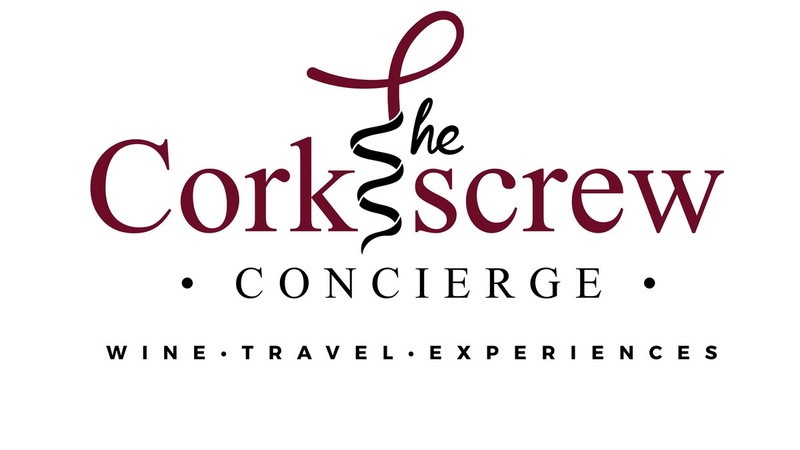 And if you’re in the mood to be fancy and high-end, well the fabulous wine list is always there. 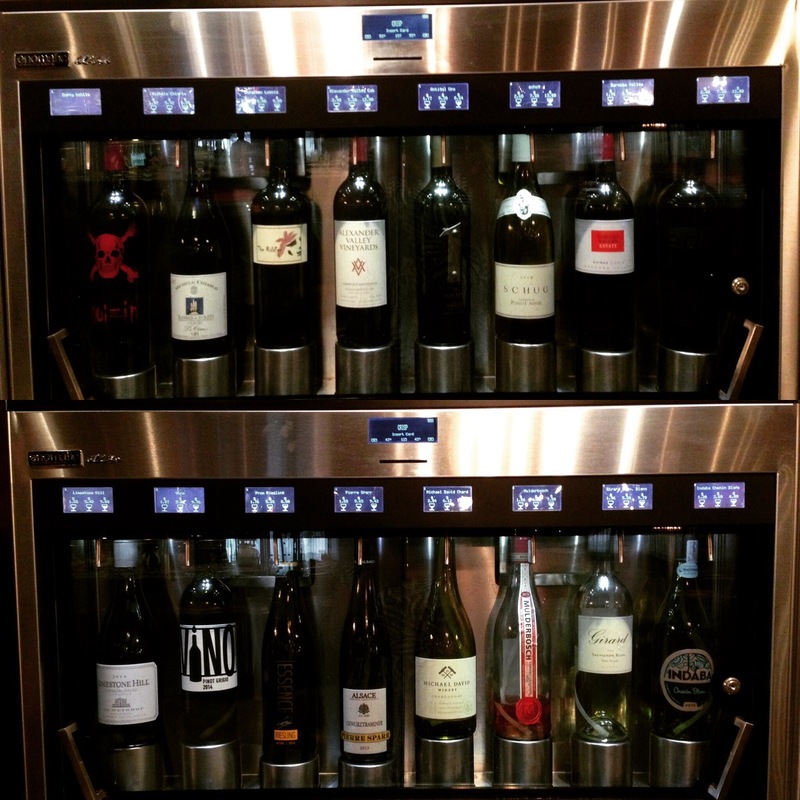 So I’m quite happy that I finally tried out the cool Enomatic wine toy. And I made sure to put my little card in my wallet so that I’ll be prepared the next time I venture in. Glad to see someone write about Crisp! I definitely love going to this restaurant for all the reasons mentioned above such as good food and the fun experience with the wine dispenser. I live near the area of Woodlands, TX so I usually relax at the Crisp at the Woodlands location. 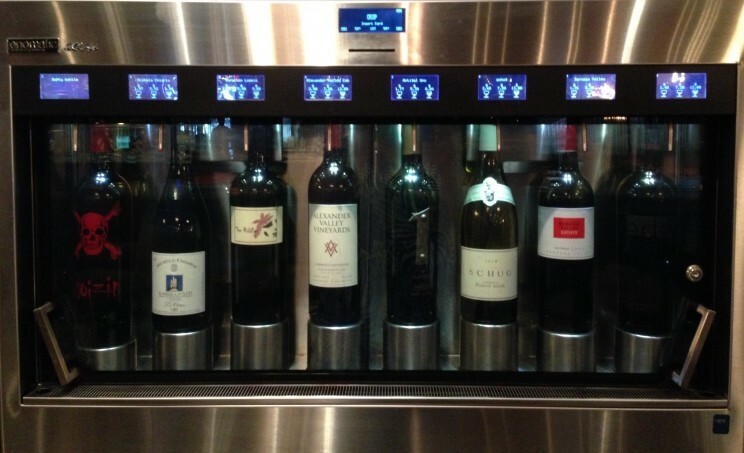 The Woodlands location also have a wine dispenser but is of another brand, I believe the name is Wineemotion. Great great great experience with it, such a beautiful and innovative designed system. I haven’t been to the Woodlands location but they never disappoint.